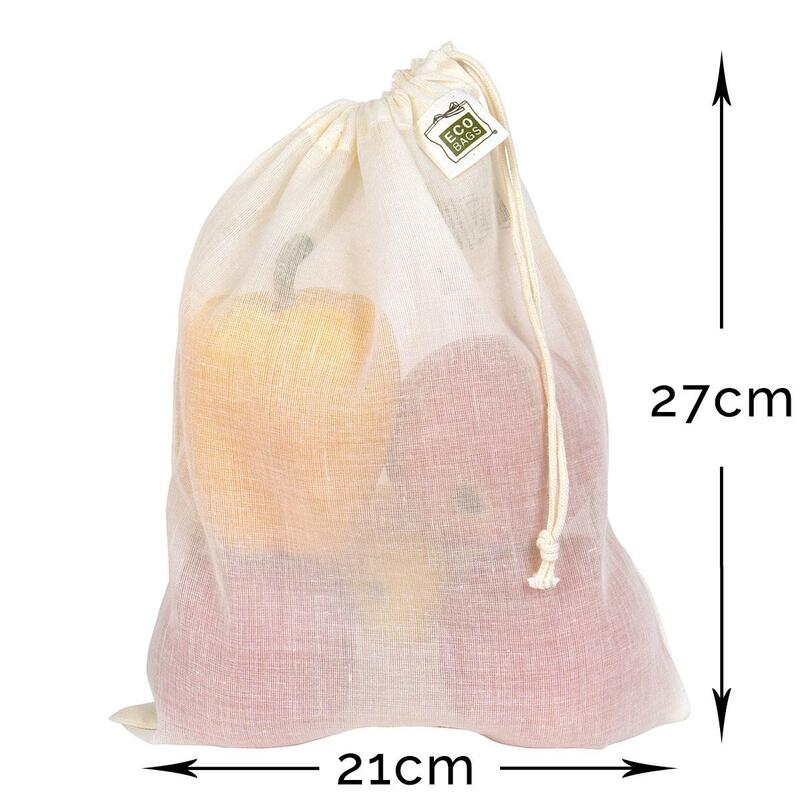 If you're tired of bringing home thin plastic supermarket grocery bags then these are for you. ECOBAGS bags are made of a lightweight, natural cotton (not bleached or treated with colours) that barely weigh anything. 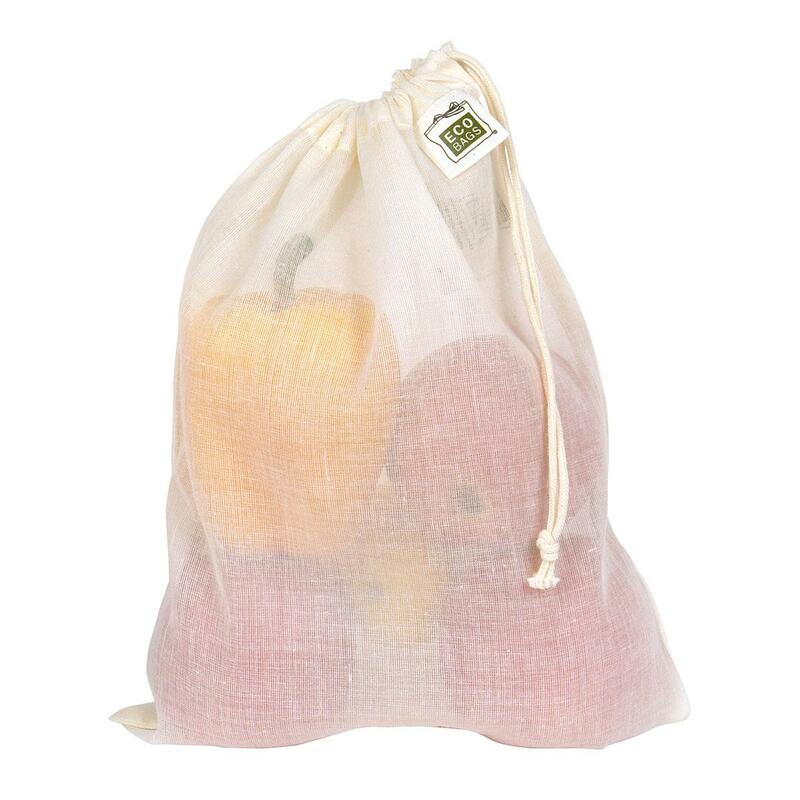 Each bag features a drawstring top to keep produce falling out. Take them to the supermarket and fill with fruit, vegetables or even dry goods (if the shop allows) and you’ll be helping save the planet and the oceans from single-use plastics. Plus you’ll look rather posh in doing so! See how easy and stylish it is to create zero-waste.